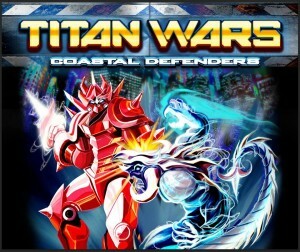 Titan Wars: Coastal Defenders is worker placement game in the works for SolarFlare Games. It’s currently in play testing stages. If you’d like to be a part of making this game as awesome as awesome can be, shoot us an email and we’ll be sure to get back to you. 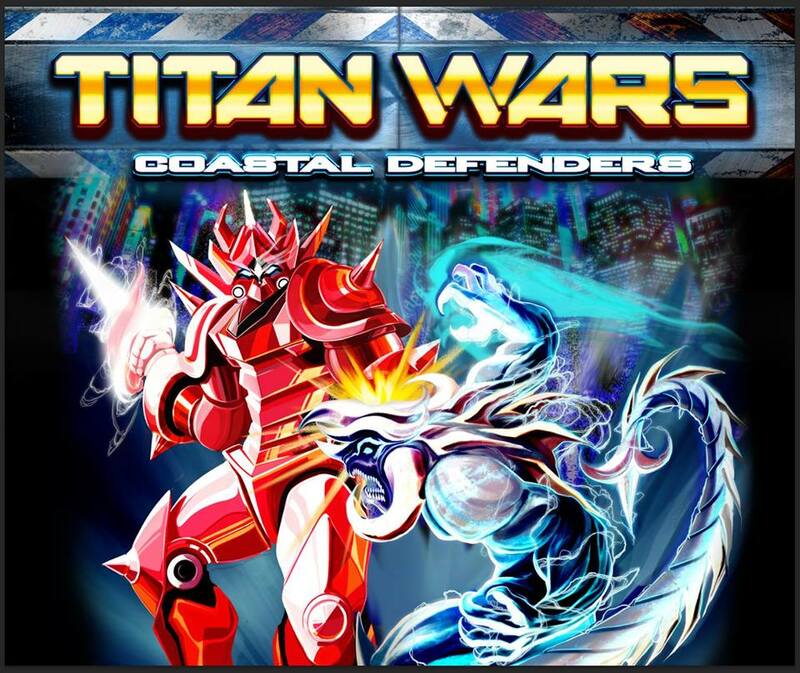 Titan Wars: Coastal Defenders is a hybrid game that integrates the game play of a worker placement function but also incorporates some player vs player interaction as well as co-op player vs the board elements. In Titan Wars: Coastal Defenders, you will have a factory game board that will allow you to place your worker meeples and trigger various worker placement functions that allow you to build your strength and power. The work is driven by acquiring the resources you need to upgrade your giant battle robot. This robot is the means by which you and the other players work to test yourselves against each other and also defend your cities from the invading hordes. The person with the most victory points at the end and with at least one city still standing will be awarded the Coastal Defense Contract and is the victor! Titan Wars is built around a feel that will make you think of movies like Pacific Rim or Godzilla. You and the other players are running companies that are vying for a contract with the World Government for the right to defend the world coasts against the incursion of a wide variety Kaiju (Giant Monsters). You are fighting them off and dealing with each other in your race to protect the world coastlines but still land the lucrative Coastal Protection Contract.